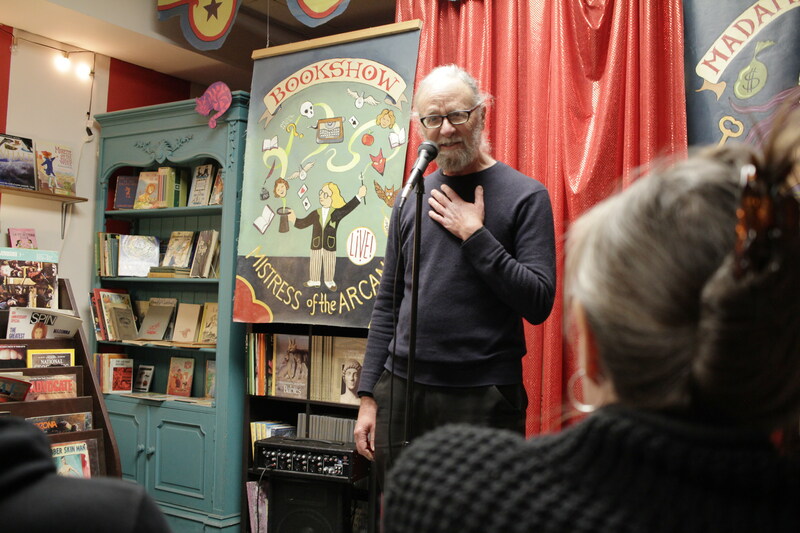 Well, not all of you missed it–I mean last Friday’s “Noir in NELA” reading at Jen Hitchcock’s edgy little shop, called Book Show LA. The room was packed! Sure, it was a small room, but having anyone to show up for anything in LA is a sort of small miracle, when neither celebrities nor booze are involved. A crowd of somewhat sinister-looking devotees of dark writing filed in from the windy night, glowered at each other, and sat to listen to our tales of mayhem. They even put aside their gats and their shanks to applaud now and then. Hell, a couple forgot themselves and bought copies of my books, or of Switchblade Magazine (co-sponsor of the event). We were five readers in all: myself, Scotch Rutherford (publisher of Switchblade), Lisa Douglass, Renee Asher Pickup, and the spectacular Ashley Erwin, who scatted through another of her trailer-trash noir comedies with typical élan!